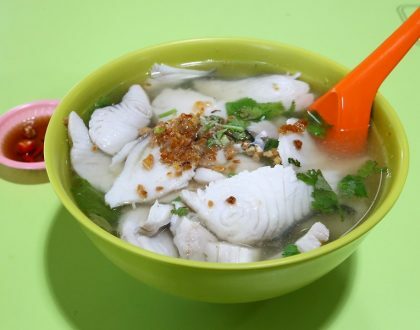 Hjh Maimunah Restaurant at Jalan Pisang was one of the 3 Halal establishments to be listed in the first Singapore Michelin Bib Gourmand Guide 2016. Though it wasn’t listed in the Michelin Bib Gourmand Singapore 2017, I do not think this would have affected its popularity much. 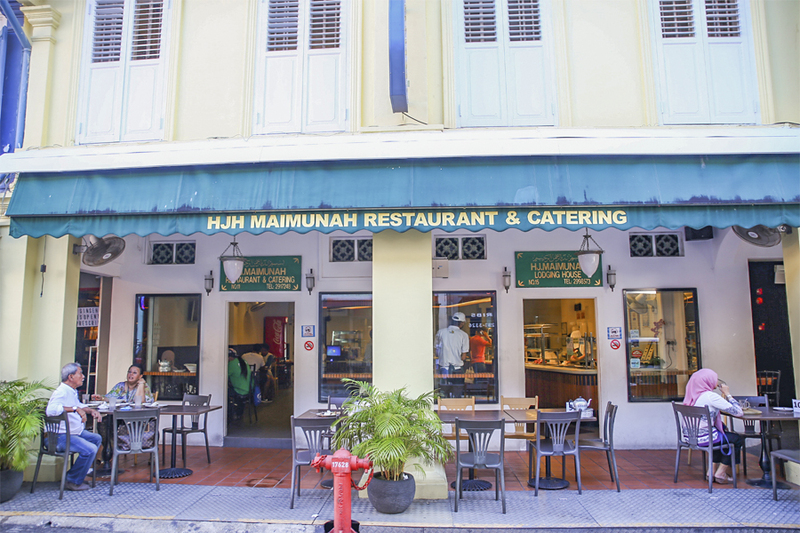 Hjh Maimunah should be a familiar name to the Muslim community in Singapore, as the restaurant was established since the early 1990s. Its beginning was as a provider of Middle Eastern-based catering service for Hajj travellers who would come visiting once a year. 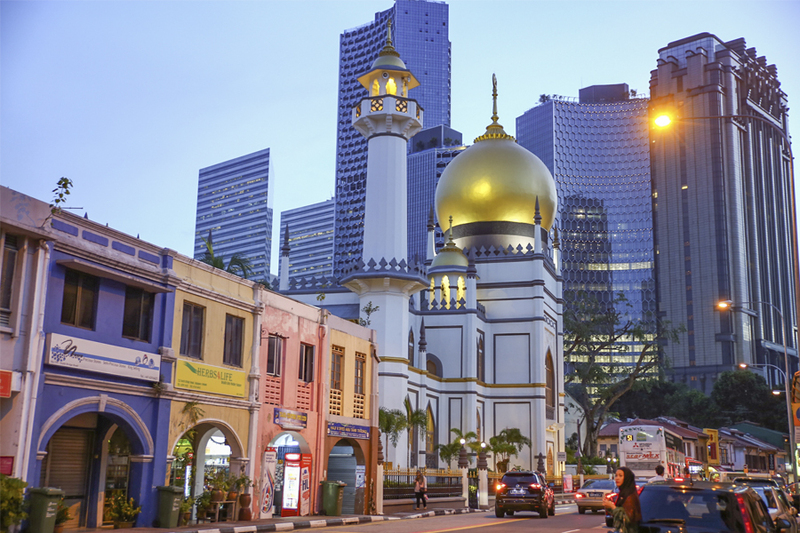 Pronounced as ‘Hajah’, Hjh Maimunah is a short 5-minute walk from the iconic Sultan Mosque, and tourists to Singapore should visit the culturally rich and colourful Kampong Glam district if you are here. 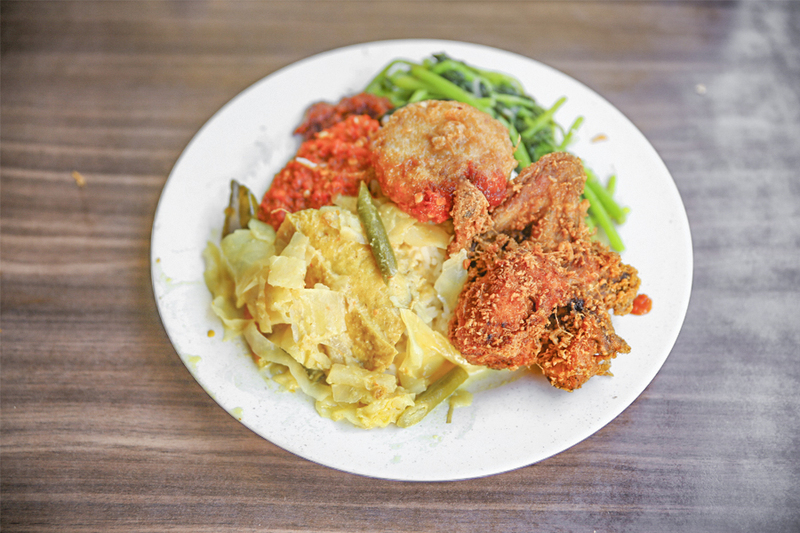 Hjh Maimunah is considered a casual Nasi Padang eatery serving up more than 40 dishes. 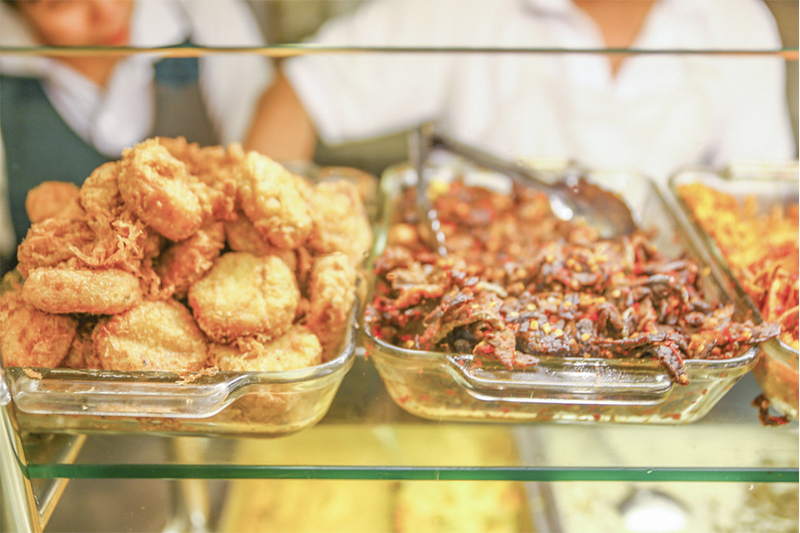 For those who are unfamiliar, Nasi Padang consists of steamed rice served with various choices of pre-cooked dishes, typically with a window display with rows of stacked food. 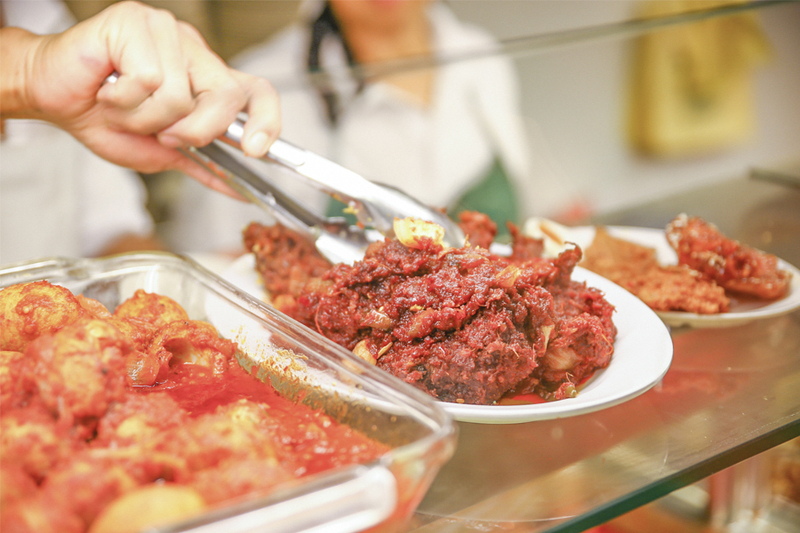 There are usually 2 types of serving in a Nasi Padang restaurant – ‘pesan’ (ordering) and ‘hidang’ (serve) method. 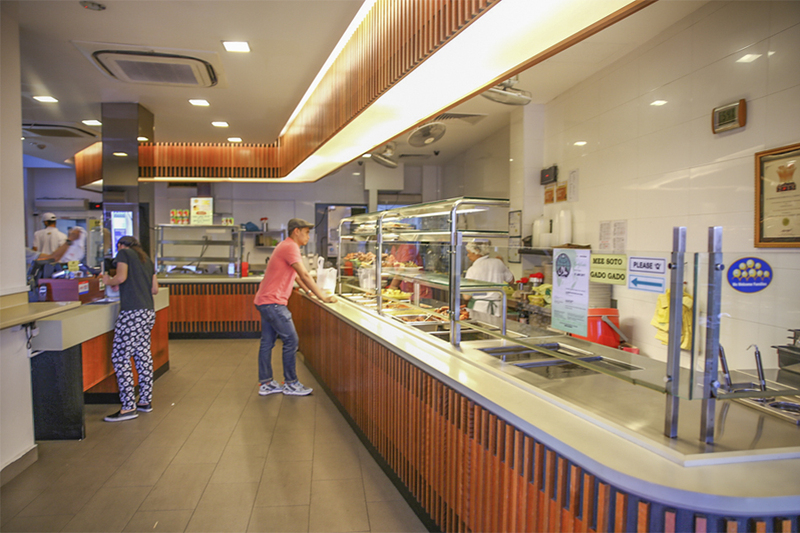 This belongs to the ‘pesan’ way when diners choose the food they want from the window display, which will then be shifted to an individual plate of rice, or served in small dishes which is better for sharing. 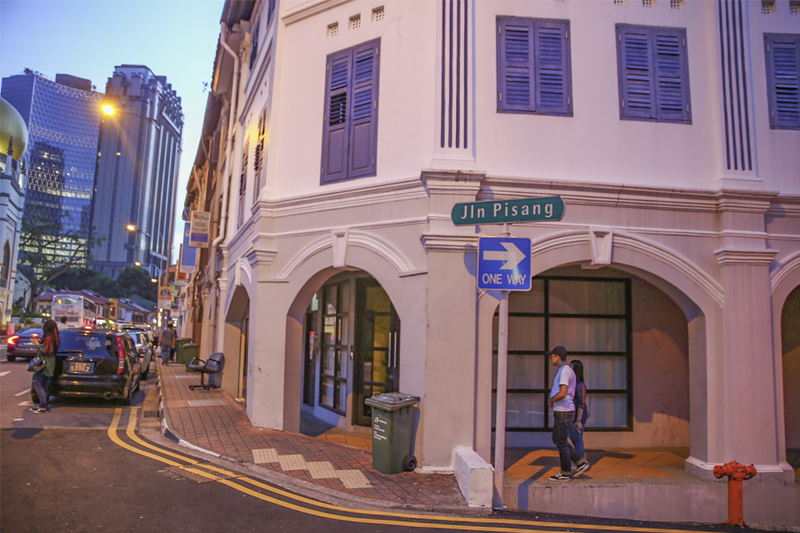 Individual or sharing (‘hidang’ style) – your choice, so tell the server beforehand. 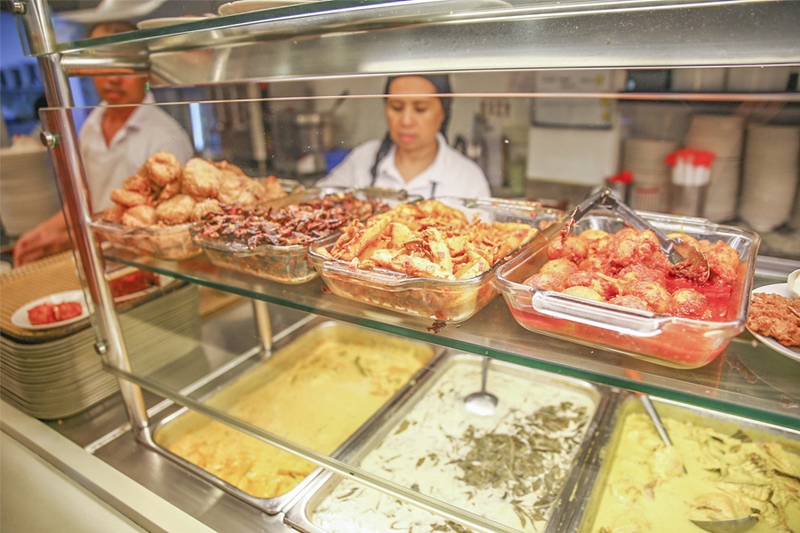 As a tip, if you come alone, then 3 or 4 dishes (say 1-2 meats, and 2 vegetable types) should be sufficient. 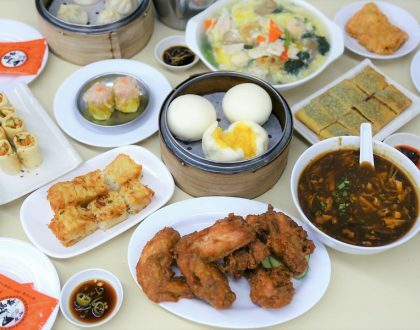 As you come with family and friends, then order the ‘hidang’ way so that you can try a larger variety. 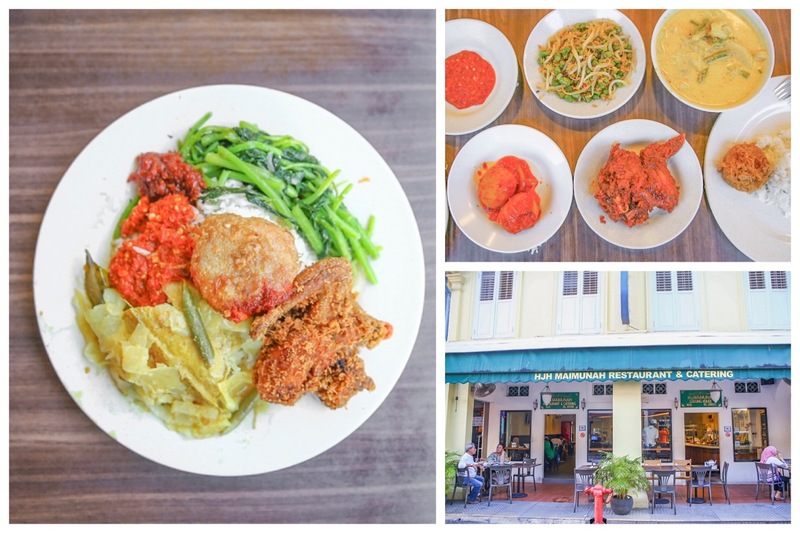 The signature dishes here include the Juicy Sundanese Grilled Chicken, Lemak Siput (a type of shellfish called needle snails cooked in spicy coconut gravy), Beef Rendang (braised beef cooked in coconut milk and spices) and variety of Barbecued Fish. 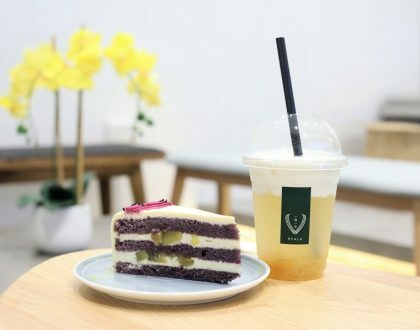 You can also order ala-carte dishes such as Sambal Goreng (stir fry with vegetables), Tahu Telur (bean curd omelette with spicy sauce), Sotong Hitam (squid cooked in squid ink) and Sup Buntut (oxtail soup). One of my favourite must-have side dish here is the Bergedil, a type of deep-fried potato patty. Somehow, the version here tastes just different from elsewhere. Turns out that they use a special variety of Brastagi potatoes from Indonesia, which is more expensive than the European types which are better for fries. The potatoes were soft with a creamy bite, elevated in taste with a dollop of home-made sambal chilli sauce. 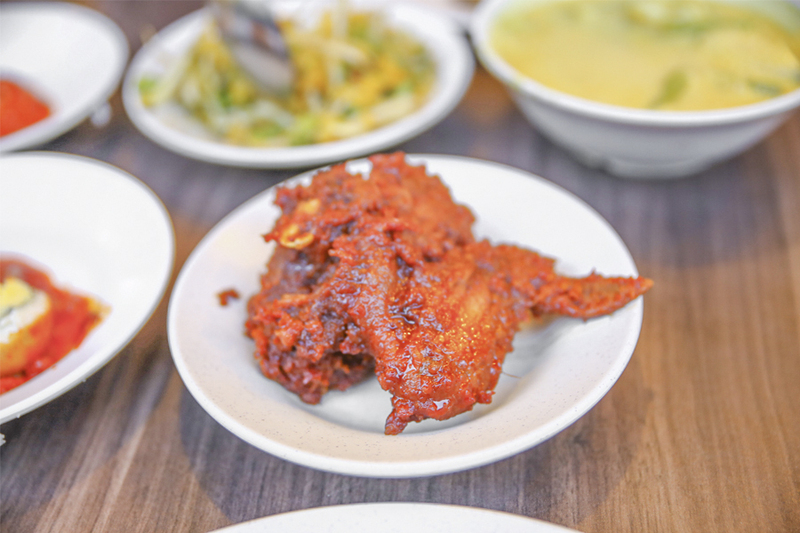 Other dishes I liked were the soft-to-the-bite Beef Rendang cooked in a robust dry curry sauce, and charcoal-grilled Ayam Bakar with all that smokiness and addictive sauce. To end the meal, also look out for traditional Kuihs and desserts available.